We never thought we’d see The Walking Dead‘s Steven Yeun and 2NE1’s Sandara Park — two of our favorites — collaborating together. So you can imagine our excitement when we discovered that the two were acting as a couple for the BeFUNNY mini web series, “What’s Eating Steven Yeun?” Was there squealing and jumping for joy involved? Possibly. BeFUNNY studios works to bring together Asian American celebrities from Hollywood and Asian celebrities from all over Asia. In our opinion, they couldn’t have picked a better duo. After all, Yeun has openly discussed the lack of roles available for Asian Americans and how he’s bent on changing that. Rather than sit and sulk about the circumstances, Yeun decided to do something about it by writing and producing his own projects which will offer better roles to Asian actors. Yeun is working on an adaptation of Kang Chol-Hwan’s memoir The Aquariums of Pyongyang, which focuses on life inside of a North Korean concentration camp, as well as some cartoons and comedies like this mini web series. “What’s Eating Steven Yeun?” follows Yeun as he decides to leave his career in America to enter the next chapter in his life and become a South Korean idol. The hilarious web series shows that this transition may not be as easy as Yeun expected. Check out all three episodes below! Categories: Film, Interviews, Links, Musings, Photo, Style	Tags: 2NE1, actor, Asian, Asian American, BeFUNNY studios, comedy, history, K-Pop, Kang Chol-Hwan, Korean, Korean American, music, North Korea, North Korean, Sandara Park, South Korea, South Korean, Steven Yeun, The Aquariums of Pyongyang, The Walking Dead, web series, webisode, What’s Eating Steven Yeun? 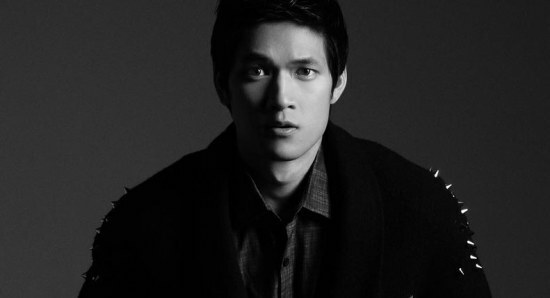 Actor Harry Shum, Jr. is best known for his role as Mike Chang on the hit TV series Glee. Shum danced and sang his way into the hearts of Glee fans all around the world ever since first joining the Glee club back in season one, and now he has signed on to appear in a brand web series slated to appear online coming up in 2014. The web series is called Caper and it will be released on the YouTube channel known as Geek & Sundry. Caper is sure to become an instant hit with both superhero and comedy genre fans. The show follows four superhero characters portrayed by Shum, Abby Miller (Justified), Beth Riesgraf (Criminal Minds), and Hartley Sawyer (Young & the Restless). Where the comedy comes in, is that to give these modern day superheroes a chance to prove their superhero skills, these same characters will also double as their own villains. Harry Shum, Jr. is no stranger to having a strong presence on the internet. Any search for his name will give fans a direct connection to him via such social networks as Tumblr, Twitter, Facebook, Google Plus, and of course YouTube, where his own personal video channel can be found. Shum fans should make sure to follow Shum’s future posts for updates about his new web series Caper. 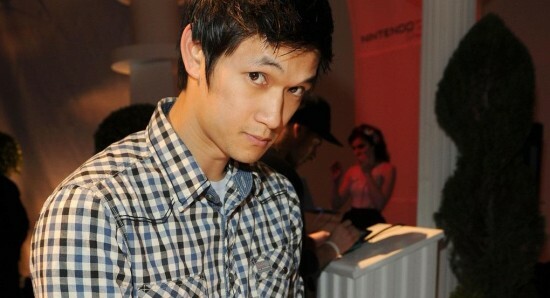 Harry Shum, Jr. is sure to put his heart and soul into this new project, and Glee fans are sure to follow him. Will Shum be dancing or singing on Caper? Glee fans everywhere can only hope that he will. Caper mixes both animation and live action on the screen, so that means anything is possible. 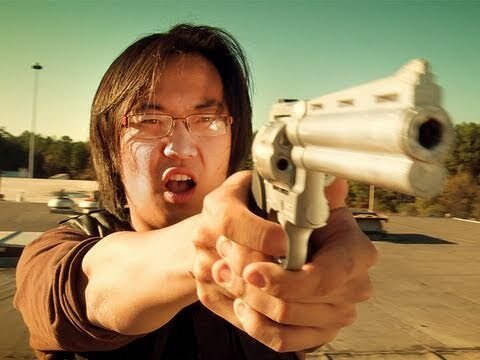 Check out the teaser trailer premiere for Awesome Asian Bad Guys, the upcoming action comedy web series from Stephen Dypiangco and Patrick Epino, aka National Film Society. The series is a celebration of some of our favorite cult movie personalities of yesteryear who were always relegated to bad guy background status, from The Karate Kid Part II to Lethal Weapon and Rambo II. Awesome Asian Bad Guys puts them in the spotlight and in the center of the action — where they belong. Starring Al Leong, Yuji Okumoto, Tamlyn Tomita, Aaron Takahashi, Dante Basco and more, the story follows a motley crew of washed up Asian bad guy actors who join forces to take down Los Angeles’ most nefarious mob boss. Here’s a very first look at the series, coming in 2014. The Asian American Film Lab (AAFL) will premiere its first ever web series on AAFL-TV September 30 with the launch of MY NOT SO subCONSCIOUS. MY NOT SO subCONSCIOUS is a comedy series in which a woman’s life is upended when her inner thoughts take on a literal life of their own.